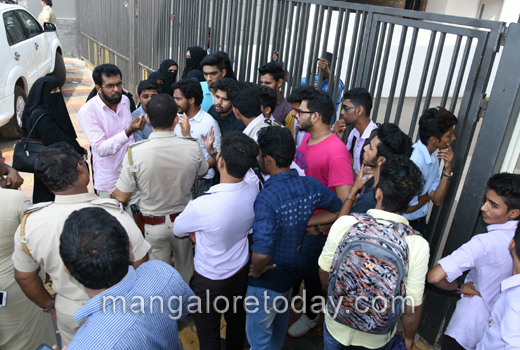 Mangaluru, Oct 26,2016 : The Campus Front of India staged a protest in front of the Milagres College here on October 27, Thursday opposing the decision of the college management to deny hall tickets to 22 students. 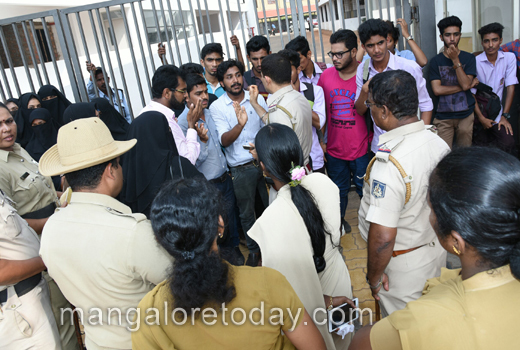 The affected students as well as their parents too were part of the protest. 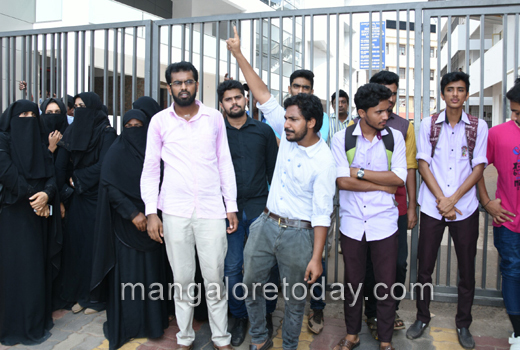 The protestors alleged that though the parents of the 22 students who had been asked to meet the Principal, had been visiting the College since seven days, they have not been granted permission to meet the Principal. 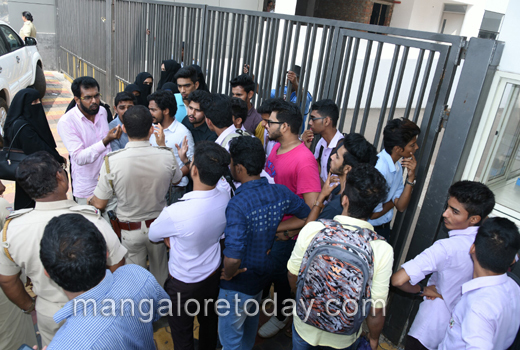 The protestors said though initially 90 students were denied hall tickets, later hall tickets were issued to all except 22 students. 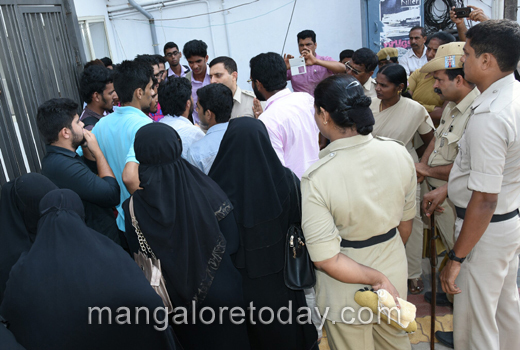 They also pointed out that all the aggrieved students belonged to the same community. 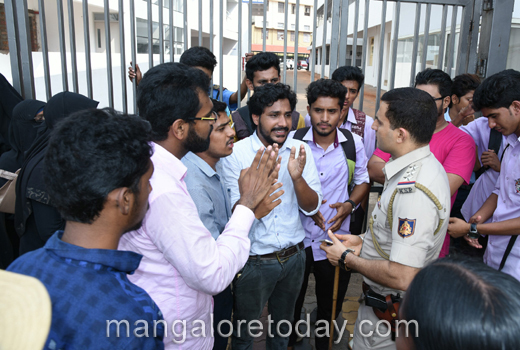 Sources said that the PTA meeting held in the college had asked all students to adhere to the University regulations. 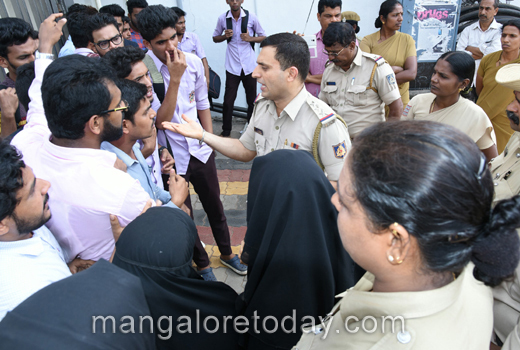 It may be recalled here that the College was in the news recently after the Principal Fr Michael Santhumayor was reportedly assaulted by a student named Mohammad Shahnawaz. The principal is currently on medical leave. 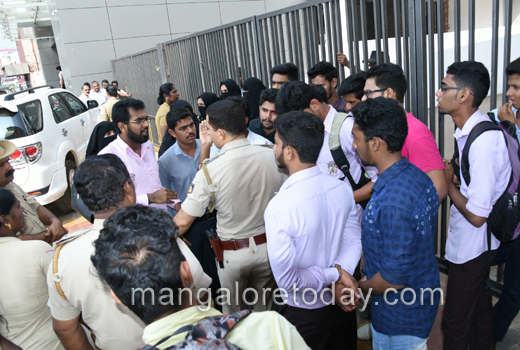 last year when some want to celebrates "tippu sultan jayanthi" that was big issue made by specially cristians from inside. we know you christians are communals. that is way god given you good lesson in trassi last year in school van, so every christians should remember and realise it when they are targeting muslims. i want to say and also i have objection for any christians going to gulf contries like dubai, bahrain, kuwait, saudi arabia to ear money, make thier homes in india, whey?? whey they go to our muslim contires if they hate musllims. dont touch gulf money its written our god name.